iPhone iPad device keeps restarting" is one of common iOS problems that you may meet after updating to a new iOS operating system (like iOS 11/11.1.2) or while charging your iOS device, connecting device to computer or plugging in a headphone. And below we offer you some basic tips to fix this problem. Applied to all iPhone iPad models, including iPhone 7/6s/6/5s and new iPhone X/8. iPhone keeps rebooting or restarting means that the iPhone is reloading the home screen repeatedly, which takes a little while and is likely to prove annoying if you need to urgently make a call or perform another task immediately. 1. Apple has just released iOS 11.2 and tells us that updating to the new iOS 11.2 can fix the iPhone keeps restarting issue. 2 . Just go to Settings > General > Tap Software Update to check the update. 4. Update your device to iOS 11.2. After that, you can allow notifications for apps again. 1. Go to Settings > General > Date & Time and manually set the date to December 1. 2. 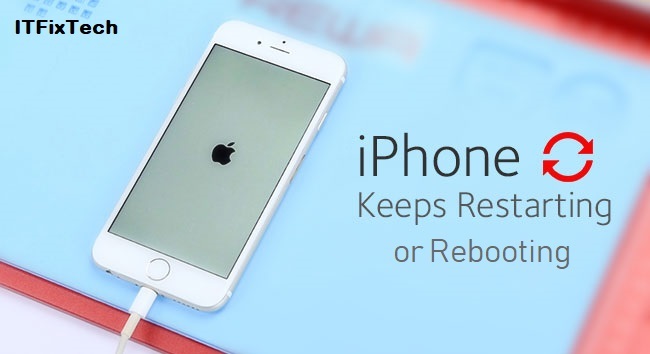 This should stop the endless rebooting on your iPhone. 1. You can restart or force-restart your iPhone iPad to clean all processes, which may help you fix "keeps restarting" issue. 2. To force restart one device, just press and hold both of the "Sleep" and "Home" buttons at the same time for 10 seconds until Apple logo appears on screen. 3. For iPhone 7 users, please press the Home button and the Volume down button. 1. You can try to reset all settings on your iOS device to make it run in normal. 2. Go to Settings > General > Reset > Reset All Settings. 3. This method will not remove any data on your device. It just reset all settings to factory default. 1. Some apps may make your iPhone and iPad keeps crashing and restarting after you run them on your device. 2. If you face this problem, you can try to delete the app from your device, or update it to latest version.